When Berlin High School — the Olentangy Local School District’s fourth high school — opens its doors for the 2018-2019 school year, it will bring about various changes, most notably the City of Powell will no longer be exclusively the home of the Patriots from Liberty High School. Instead, due to the redistricting plan approved in March, Powell will also be home of the Braves of Olentangy High School since a portion of students living in Powell will be sent across the Olentangy River to attend OHS. To help welcome OHS into the Powell community, Mayor Brian Lorenz invited school district leaders and local residents to Liberty Township Hall on Thursday for the first of what he envisions will be several school integration roundtables. Father to four children in the OLSD, Lorenz added, he understands many parents in Powell are concerned about having to send their children to a different high school (OHS) and, in some instances, having to deal with a house divided in which one child nearing graduation will be allowed to remain at LHS, while the other will attend OHS. Superintendent Mark Raiff addressed parents in attendance by acknowledging the redistricting process can be difficult for many families, but it’s a necessary inconvenience in an ever-growing school district like Olentangy. As parents and students who call the OLSD home have done time after time, the community will find ways to adapt to the changes being instituted with the addition of a new high school in 2018-2019, Raiff added. “(Redistricting) is something that is not foreign to our community,” he said. “It is something we’ve done many, many, many times as a school district. I think we understand how to handle these transitions and do it well. “We’ll get through it. 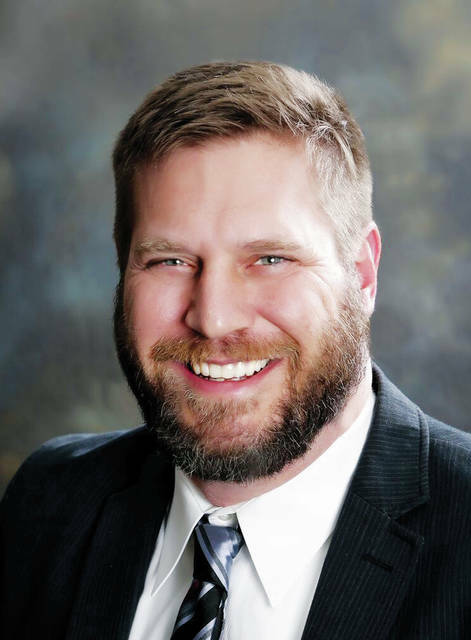 I do know, at the end of this experience, every single child in this school district will continue to go to an excellent school, because all of our schools are excellent,” Raiff added. 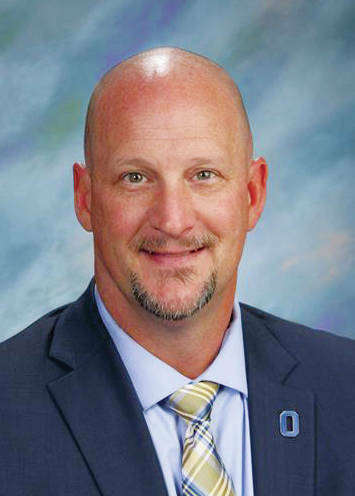 While LHS and OHS might be rivals on the field, OHS Principal Robert Griffiths said he can relate to what parents and students in the Powell community who will be making the switch from LHS to OHS are going through, having lived it himself. 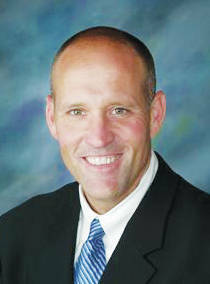 Prior to crossing the Olentangy River and becoming a Brave, Griffiths was assistant principal at LHS. While having some “reservations” about the move, he said it was a pleasant transition, one he hopes to duplicate for those students making the journey across the river as well. Thursday’s roundtable provided parents a chance to toss around ways the City of Powell can move from being home of the Patriots to home of both the Patriots and Braves. From a spirit standpoint, Lorenz suggested Powell-area businesses move away from displaying only the blue and silver colors of LHS and consider mixing in the colors of OHS — blue and gold. In addition to the community displaying both LHS and OHS colors, the group also suggested joint athletic booster discount cards and having Powell businesses sell both schools’ spirit wear. Parents also suggested other ways in which the community could make OHS feel “culturally part” of Powell, which included hosting social events to bring both student bodies together and including OHS information on the city’s social media accounts. Also discussed was the idea of having Powell officials seek guidance from their counterparts in nearby cities like Dublin, Hilliard, and Westerville, all of which have multiple high schools.